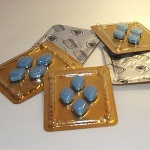 The introduction of Viagra in 1998 changed the world of men suffering from erectile dysfunction. Up until then, there were nearly no remedies available that could have helped men effectively. No wonder that within a few months after its introduction, Viagra dominated the market. Until today, Viagra has been prescribed to approximately 37 million men worldwide. In a new IZA Discussion Paper, which is forthcoming in Economic Enquiry, Jacob LaRiviere and Hendrik Wolff analyze how the little blue pill influenced lifestyle and behavior of elderly men in the U.S. In a nutshell, the introduction of Viagra seemed to have influenced short-term rather than long-term behavior. On the one hand, Gonorrhea rates for men older than 45 increased by 15-28 percent. Apparently, the drug had an effect on short-term decisions of older men to become more open to risky sexual relationships, increasing the amount of infections with sexual transmittable diseases. On the other hand, the authors find no influence of Viagra on long-term-decisions as divorce and natality rates of the target population are not affected.